The 21st October 2011 episode of Friday Night SmackDown! starts with Alberto Del Rio making his way to the ring with Ricardo Rodriguez, where he talks about how he will take on John Cena in a Last Man Standing match on Sunday at Vengeance, and says that he was scheduled to have a match against The Big Show on this episode of SmackDown!, but claims that it won’t happen due to what Cena did to him on Raw which he then shows the footage of (click here for our Raw report). Teddy Long makes his way out and says that earlier in the day, Del Rio was checked out by WWE physicians and cleared to compete, so suggests that Del Rio is just trying to weasel his way out of the match and is too afraid to wrestle The Big Show. Del Rio denies this and says that he will put his cross-armbreaker on Show and make him tap, so Long decides to take it to the crowd, asking them if they want to see Alberto Del Rio face The Big Show on this episode of SmackDown, getting a positive response that says that they do indeed want to see that. Long suggests that Del Rio get ready, as that match will happen later on in the night. After a video recapping the match between John Morrison and Mark Henry on Raw, Mark Henry is once again pitted against John Morrison in a match which sees Henry get the victory again, when he hits Morrison with the World’s Strongest Slam for the 3-count. Christian and Vickie Guerrero are shown talking backstage, with Christian asking how to get the crowd to chant “one more match” in Spanish. Vickie talks about how Long is terrible but how she has a great relationship with John Laurinaitis, citing the WWE Tag Team Championship match against Air Boom (Evan Bourne and Kofi Kingston) at Vengeance that he granted her clients Dolph Ziggler and Jack Swagger. She suggests that Christian also considers a business relationship with her, and also says that they could share embarrassing stories about Edge. She continues laughing as Teddy Long enters, with him asking what they are doing in his office and why they are laughing, but Christian says that it is none of his business and that it is Long that they are laughing at, as he is a laughing stock because he won’t give people what they want. Long says that he will give people what they want, and says that he will give Christian what he wants, one more match – but clarifies that it will be against Sheamus at Vengeance. Christian yells that he wasn’t talking about that and Long knows it, before muttering that he should be the World Heavyweight Champion as he leaves. Teddy Long turns his attention to Vickie Guerrero and says that he sees that she got what she wanted, but says that he is going to get what he wants too, as Dolph Ziggler is going to defend his United States Championship in a match against Zack Ryder at Vengeance. Vickie isn’t happy about Ziggler having to compete in two matches on the same night, but Long dismisses her with a “Holla” before leaving, and Zack Ryder appears and says “Woo Woo Woo, You Know It” to her. The latter causes her into throwing a tantrum. 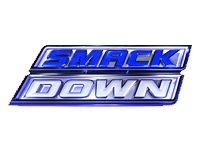 After a video recapping the history between the two men known as Sin Cara, a video of Wade Barrett has him saying that he only needs himself to succeed, and claiming that “The Great Barrett Uprising” will start on this episode of SmackDown! Now, Wade Barrett goes against Daniel Bryan in a match which sees Barrett get the victory, when he hits Bryan with The Wasteland for the 3-count. After a WWE.com video of Vickie Guerrero supposedly on the phone with John Laurinaitis and then being asked about it, and a video recapping the match between Sheamus and Alberto Del Rio last week as well as the aftermath involving Christian, Sheamus and Zack Ryder take on Christian and Dolph Ziggler (accompanied by Vickie Guerrero) in a match which sees Sheamus get the victory for his team, when he hits Ziggler with a Brogue Kick for the 3-count. After a WWE.com video recapping the paper-bagging of Randy Orton by Cody Rhodes as well as him being asked about it backstage afterwards, and a video of Christian hitting Sheamus with a spear during the commercial break, Cody Rhodes is in the ring and he wants to talk. Rhodes says that two weeks ago on Raw he humiliated Randy Orton, exercising a demon, as he then shows footage of his attack on Orton and the following paper-bagging. Cody Rhodes says that demon didn’t just come as a result of an RKO or a scar on the side of his head that will likely be there for the rest of his days because of a grisly attack with the ring bell. He asks if he is supposed to pretend that Orton didn’t inflict serious emotional damage to him long ago, and says that “The Viper’s” venom has contaminated the blood the runs through his veins since their days together in The Legacy. Rhodes says that one thing that his father taught him is that man is basically good, but he says that it is wrong, as man is basically evil, twisted, and especially twisted. He says that Randy Orton used him, abused him, and rewarded his loyalty with a kick to the skull. He says that baggage that he had to carry with him was like a diseased albatross slowly rotting around his neck, and that when he finally had a bag of his own and had the chance to put it around Orton’s head, that was a release. Cody Rhodes says that his and Randy Orton’s lives have officially intersected, but this time he is the one who is the champion, and he is the one who is smiling. He says that he is the one who has everything going for him, but Orton is an embarrassed megalomaniac with no new tricks. He says that at Vengeance they will face each other, but he thinks that can wait, as he wants Orton to come out right now and admit a few things, to admit that like many people, he was wrong about Rhodes and made a mistake, and that he got what he deserved. Orton makes his way out and says that the only mistake that he made was letting Rhodes breathe after costing him the title twice, but that the mistake that Rhodes made was assuming that by placing a paper bag on Orton’s head he would be humiliated. He says that Rhodes thinks that he has changed him, but the only thing that he has changed is the amount of torture he will put Rhodes through at Vengeance, as being hit with the ring bell will pale in comparison. Orton suggests that they have a preview right now, and goes to enter the ring, though he has to fight off Rhodes’ assistants first, which allows Rhodes to take advantage of the distraction and send Orton into the ring post, before rolling him into the ring. In the ring, Orton gets the upper hand and sends Rhodes over the top rope, before he then gives one of the assistants a rope-assisted DDT. Randy Orton exits the ring to bring Rhodes back, but once again the assistants try to interfere. Randy Orton makes one of them pay by stomping their head on the ring steps, but it allows Rhodes to make his escape and back off up the ramp. Orton takes out his anger on the remaining assistant by giving him an RKO as Cody Rhodes watches on from the ramp. After WWE.com video interviews with both men who call themselves Sin Cara, the blue-attired Sin Cara is pitted against the black-attired Sin Cara in a mask vs. mask match which sees the blue-attired Sin Cara get the victory, when he applies the an armbar that forces the black-attired Sin Cara to tap out. Afterwards, the black-attired Sin Cara is reluctant to take the mask off as agreed, so instead starts to fight back. The blue-attired Sin Cara however gets the upper hand and manages to pull the mask off him, following it up with a suicide dive through the ropes to take him out, before returning to the ring and celebrating with the black mask in his hand. After a video hyping Brodus Clay, Beth Phoenix and Natalya are in the ring and they talk about how people suggest that they are jealous of the so-called “Barbie Dolls”. They deny this and say that they are neither jealous nor angry at them, instead they say that they are angry at the fans. They say that the “Barbie Dolls” are what the fans want to see, and that not only are Beth and Natalya prettier than the other Divas, but they are more dominant in the ring, as they then show a video recapping the use of the Glam Slam and the submission that they call “Pin-Up Strong” over the past few weeks. Natalya says that there is nothing more beautiful than watching the “Barbie Dolls” beg for mercy, which Beth agrees with and says that she hopes that Eve Torres is paying attention, as this next message is just for her. She says that at Vengeance it is Eve’s turn to cry, and they will make her scream just like the rest, and on Sunday they are going to finish it. Eve’s music hits and she makes her way to the ring, where she says that she thinks that everyone knows the real reason that they started all of this. She says that they made this all about looks, but she used to think that Natalya and Beth were beautiful women, until the past few months where they proved how ugly they are on the inside. She says that there is one thing that she needs to clarify – she is not a “Barbie Doll”, and that there is nothing that they can do to break her. Natalya and Beth suggest that thinking about Vengeance makes Eve want to cry, and say that they think that they can see a tear, so tell her to go ahead and cry. Eve doesn’t cry, but instead knocks Beth over with a shove, before exiting the ring and backing up the ramp with a smile. Next up, Alberto Del Rio goes against The Big Show in a match which sees The Big Show get the victory as a result of a disqualification, when Ricardo Rodriguez interrupts the chokeslam attempt on Del Rio, only to get hit with the WMD by The Big Show. Afterwards, Del Rio too falls to the WMD, and though Mark Henry tries to attack The Big Show while his back is turned, Show turns around in time to thwart the attempt as he hits Henry with the WMD too. The Big Show celebrates on the stage as SmackDown! goes off the air.